A tech executive will be the next chief of a $2.5-trillion AUM asset management unit. 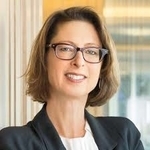 Abby Johnson, CEO of Fidelity Investments [profile], has chosen 22-year company veteran Steve Neff, age 66, to succeed the retiring Charlie Morrison, 57, at year-end as president of the Fidelity asset management division, according to reports from the Boston Business Journal, the Boston Globe, Pensions & Investments, Reuters, and the Wall Street Journal. 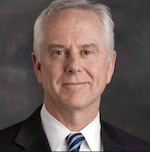 Neff currently serves as Fidelity's head of technology and global services. Fidelity executives have long talked about the company as being not a financial services company but a technology company, so longtime Fido watchers may not be surprised by Neff's rise. "It's an opportune time for Steve to lead Asset Management, as technology is becoming increasingly important in our efforts to deliver outstanding investment performance and solutions for our customers," Johnson told her employees via a memo, Reuters reports. 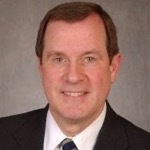 An alumnus of Rutgers University, Neff took over technology and global services for Fidelity in 2016. Prior to that he served in several other Fidelity roles, including enterprise chief technology officer, technology consultant, and chief investment officer for Fidelity Investment Management Technology. Prior to joining Fidelity in 1996, he spent nine years in operations at Salomon Brothers and spent 12 years at IBM (where he served as an advisory systems engineer).